The New York Mets visit Citizens Bank Park on Tuesday to play the Philadelphia Phillies. Noah Syndergaard is the probable starter for the Mets and he'll face Jerome Williams of the Phillies. The opening line for this matchup has New York at -200 and Philadelphia at +185. The over/under was set at 8. The Mets, with a 64-58 run line record, cover the spread 53% of the time. They also have a 60-57 over/under record. The Phillies are 63-61 against the run line and have a 65-49 over/under record. They cover the spread 51% of the time. The Mets head into this matchup with a 67-56 record, including 25-35 on the road. Starting pitcher Noah Syndergaard holds a 7-6 record with an earned run average of 3.17 and a WHIP of 1.14. He's pitched 110.2 innings thus far while surrendering 100 hits over that time and when he starts, the Mets are 9-9. The Mets are also 6-10 against the over/under in his starts. He is getting 3.7 runs from the team when he takes the mound. The bullpen's earned run average is currently 3.15 and they've given up 274 hits on the season. Opposing teams are hitting .223 against the Mets bullpen while walking 129 times and striking out 305 times. New York is averaging 7.96 strikeouts per game while getting 8.13 hits per nine innings as a team. They rank 3rd in baseball in team earned run average at 3.29. As a team, New York is batting .240, good for 30th in the league while putting together a .245 average away from home. Ranked at 26th in the league in on-base percentage, the Mets sit at .304 and they hold a .382 team slugging percentage. Curtis Granderson leads the team in hits with 118 while the team ranks 29th in baseball with 8.13 hits per game. With a 28-30 home record, Philadelphia will hope to improve on their 50-74 overall mark. 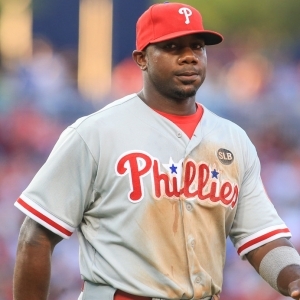 With an earned run average of 6.10, Jerome Williams will come into this game holding a 4-9 record and a 1.67 WHIP. He's pitched 100.1 innings thus far while surrendering 141 hits over that time in which the Phillies are 7-13. The Phillies are also 11-7 against the over/under in his starts. He is getting 4 runs from the team when he takes the mound. The bullpen's earned run average is currently at 3.54 and they have given up 405 hits on the season. Opposing teams are hitting .253 against the Phillies bullpen while walking 169 times and striking out 401 times. Philadelphia is averaging 7.22 strikeouts per game while getting 9.96 hits per nine innings as a team. They rank 29th in the league in team earned run average at 4.66. As a team, they are batting .254, good for 14th in the league while putting together a .255 average at home. Ranked at 28th in the league in on-base percentage, the Phillies sit at .304 and they hold a .384 team slugging percentage. Ben Revere leads the team in hits with 129 while the team ranks 10th in baseball with 8.7 hits a game. The Mets have committed 64 errors and have combined for 1,222 assists and 3,322 put outs leading to a .986 team fielding percentage. The Phillies have committed 84 errors on the season with 1216 assists and 3,279 put outs leading to a team fielding percentage of .982 on the year.